The epic Aeneid, completed by Virgil around 25 B.C., is filled to the brim with striking imagery, myth, philosophy and poetry. The descriptions are fierce and there is far too much to get at in one go. So, from my father's copy of the excellent Robert Fagles translation published by Viking in 2006, let's consider Camilla in battle, fighting in Italy against the Trojan exiles whose descendants are fated to help build Classical Rome. 'Who is the first and who the last your spear cuts down? How may dying bodies do you spread out on the earth? 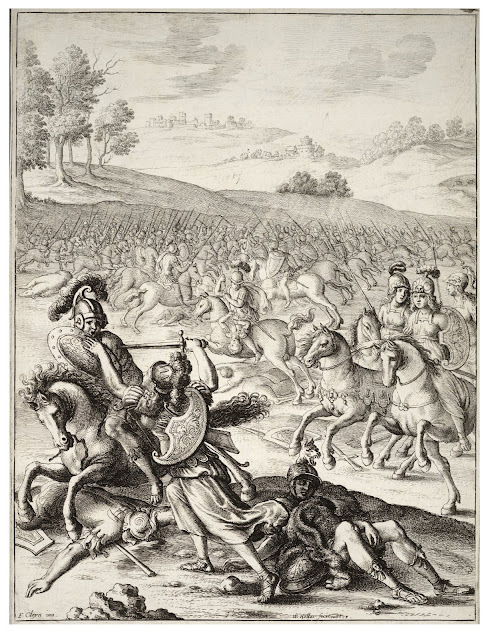 as the Trojan breaths his last . . .' (pages 346-347). The characters in The Aeneid range from the dueling Juno (Hera) and Venus (Aphrodite) to the lowly humans who are largely their playthings, albeit with some wiggle room for freedom of choice. and the shield on his left arm dangles down, off guard. warm brains from the wound go splashing down his face' (page 347-348). Woah! Virgil/Fagles do not sugarcoat brutal acts of war, the urge for which has little changed in the past 2000 years. Noteworthy about Camilla and her "elite companions" is that they are women warriors, and all those they kill in battle are men. 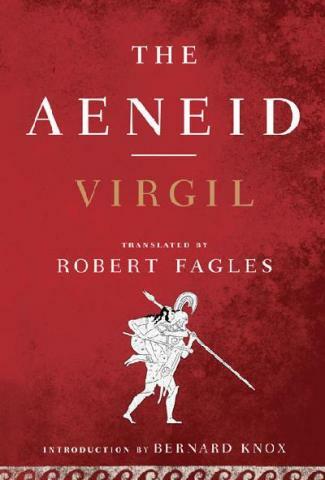 Virgil, The Aeneid. Translated by Robert Fagles. New York: Viking, 2006.